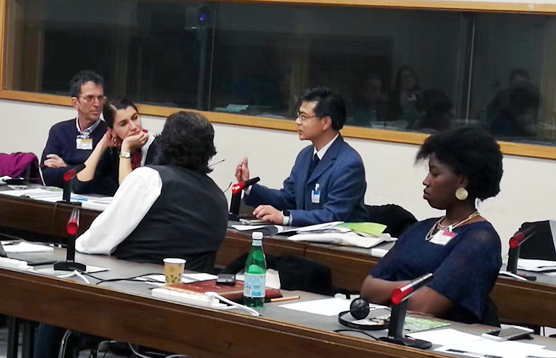 The Second Coordination Meeting with UNESCO C2Cs and UNITWIN/UNESCO Chairs Related to the UNESCO Culture Sector was held from Nov 23 to 24, 2017. 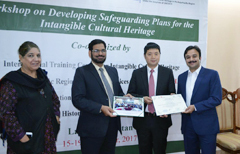 One year after the workshop on inventorying intangible cultural heritage in Islamabad, CRIHAP held its second workshop for Pakistan from Nov 15 to Nov 19, in Lahore. 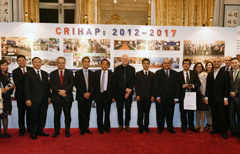 An exhibition featuring achievements of CRIHAP from 2012 to 2017 is being held at the China Cultural Center in Paris from Oct 18 to Oct 24. 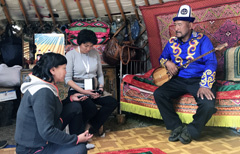 Darkhan-Uul province in Mongolia ushered in "Capacity Building Workshop: on the Role of Media for Implementation of the UNESCO 2003 Convection for the Safeguarding of ICH" from Sept 11 to 15, 2017. 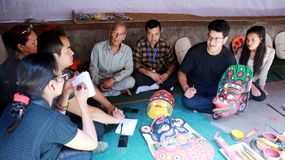 A capacity building workshop on the “Convention for the Safeguarding of the Intangible Cultural Heritage 2003 (2003 Convention)” was successfully held in Kathmandu, capital of Nepal, from Sept 4 to 8, 2017. The Workshop on Strengthening National Capacities for Effective Implementation of the 2003 Convention in Republic of Korea was held in Jeonju city of Korea from July 10 to 13, 2017. 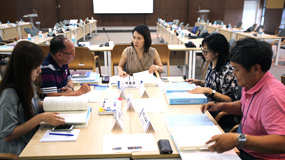 A training workshop for central Asia facilitators was held by CRIHAP in Kyrgyzstan’s capital Bishkek from June 19 to 23. 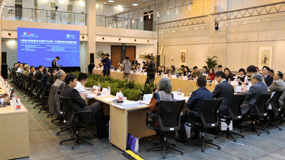 The workshop took place at the Suzhou Art & Design Technology Institute in Suzhou on April 17, 2017. Leave us your e-mail address, we'll let you know about current events. Copyright © CRIHAP (International Training Centre for Intangible Cultural Heritage in the Asia-Pacific Region under the auspices of UNESCO), all rights reserved.